Social networking is the best place to be in touch with your fans these days. Many cricketers give some extra time to their fans by posting regularly and updating the fans with upcoming events or activities. 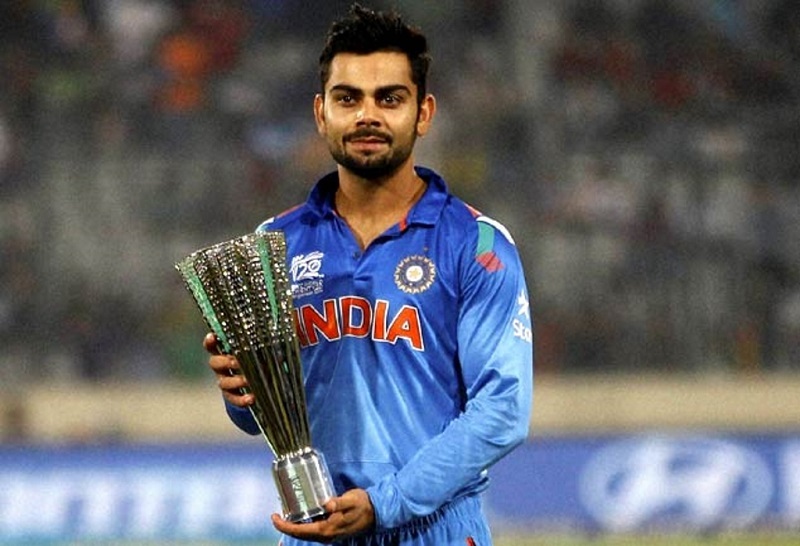 Indian cricket team has dominated and crossed all cricketers in sense of Facebook popularity. Indian cricketers are most liked on Facebook with millions of active fans across the world. Here is the list of top five most liked cricketers on Facebook. The calmest, delegate and talented cricketer have ever seen in the history of cricket. He has always been a great hope for the team in bad situations. Virat Kohli managed to maintain good cricketing records in younger age. Virat Kohli has faced many controversies in his professional life despite this he is still ruling the hearts of over 35.8M fans on Facebook. Virat Kohli is a passionate, hardworking and most handsome cricketer in the world that's why he is the most liked cricketer on Facebook. Of the pitch but right in the center of the heart of millions of people around the world. The Master Blaster of the cricket still competes his fellow cricketers even after 4 years of retirement. Sachin nowadays has become a TV star and many of us see him every day in different TV ads. Sachin has 28.5M fans on Facebook and they are increasing day by day. The biggest reason behind this fame is positivity, humanity and infinite love with the profession. The little master is the second most liked cricketer on Facebook. Ms the calmest cricket in the world leading his team like a hero has more than 20+ million followers on the Facebook. MS is the third most liked cricketer on the Facebook. MS Dhoni had some hard time in his professional life despite that he stayed calm and worked hard and showed the world that he is the best. Now MS is the richest cricketer in the Indian Cricket Team. MS has launched his own company "S E V E N a brand by MS Dhoni" with multiple branches across India. Yuvraj Singh " The Survivor " deserves a salute to his braveness and morale. Yuvraj Singh was diagnosed with cancer in 2012 and he had his cancer in a hospital in U.S.A. Yuvraj's sudden illness affected his career badly but after his recovery, he came back to the cricket world with more power and energy. Yuvraj is the only batsman to hit 6 sixes in the international cricket against England and that was the moment when Yuvraj got hit. Yuvraj is the 4rh most popular cricketer on Facebook. Virender Sehwag holds the 5th position for the most liked cricketers on Facebook. His every single post on Facebook has a positive and inspirational messages to the younger generation.Viru was the best opening batsman in the international cricket for India and have achieved many awards in domestic and international cricket. Copyright © 2016-2017. Top5ver - Top Five of Everything All Rights Reserved.